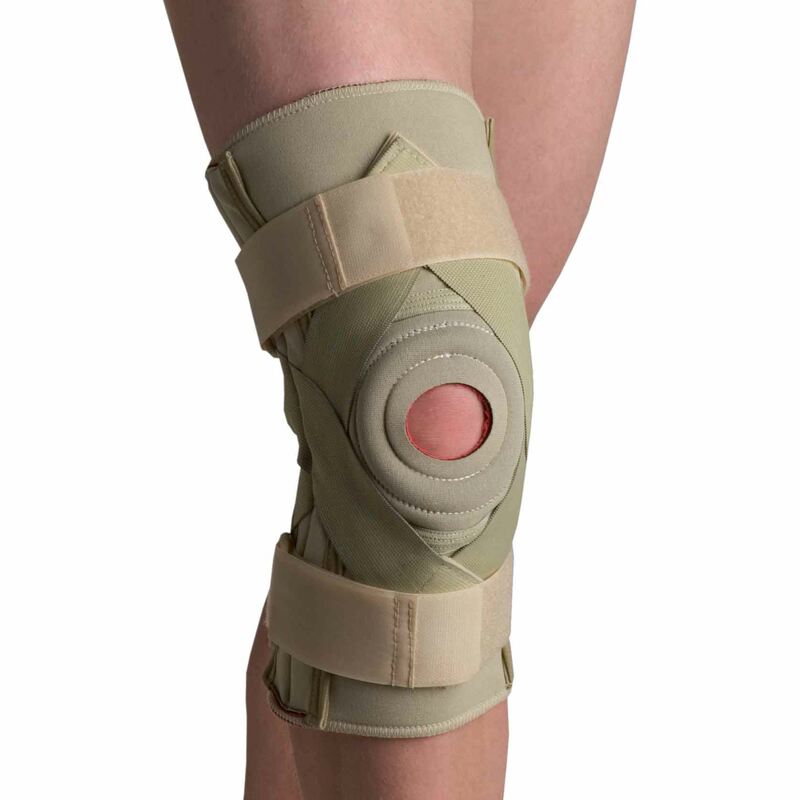 Thermal knee derotation brace. Anatomically designed for rotary instabilities secondary to cruciate injuries and deficiencies. Medial and lateral stays combined with anterior restraining straps and VELCRO® Brand locking straps negate any knee rotation. Measure slightly bent, underneath knee cap for sizing.